Q. How do we delete employees in TimePilot Central who have been terminated from our company? We have a Vetro clock that we use with the USB drive. A. In order to remove an employee from TimePilot Central, you’ll first need to make sure there are no transactions tied to that profile in your Current Transactions. If there are, perform an extraction. After that is performed, you can right-click on the profile and delete it. Vetro customers who use the USB drive to transfer their data have one more step: After deleting the employee from TimePilot Central, you must also update the Vetro clock to reflect the change. Within TimePilot Central, go to Setup > Transfer Changes to Vetro Clocks Using USB. That will take your current employee list from TimePilot Central and place it on your USB drive. Next, plug the USB drive into the Vetro clock and select number 3 in the Administration Menu to apply the changes from the USB drive. Here’s why we designed the software this way: Let’s say an employee works a regular shift for the first half of the pay period, and then leaves the company. If you deleted that person’s profile while his or her clock-ins and clock-outs were still in Current Transactions, you would end up with “orphan” transactions—transactions with no name attached. By requiring you to extract the pay period before you delete the employee’s profile, you are ensured of keeping a complete record of that person’s work hours. Q. Can more than one TimePilot Vetro be used on a network? A. Yes. You can use as many as you want. When you set up each clock, you’ll have the opportunity to give each a name. By doing so, each of your employees’ clock-ins and clock-outs listed in TimePilot Central will include the name of the clock they used. Q. I need to move the Vetro clock from our office to our shop. If I unplug it, will I lose the data I have entered? A. No. All your data is safe. The data is saved to "non-volatile" memory, which means that it's saved even if the power goes out. You will have to reset the time on the clock, however, unless you're using our optional Vetro Battery Backup. If you're using the Battery Backup, when you unplug the system from the wall outlet the battery will immediately kick in to power the clock and keep the time accurate. When you plug in the system at its new location, the Battery Backup will shift back to regular power and recharge the battery.For more on the Vetro Battery Backup, click here. Q. We were looking to delete a couple of shifts that we no longer use. Is this possible? Right-click the green bar across the top of the Current Transactions screen. The Show/Hide Columns box will appear. Now you'll be able to see each employee's shift in Current Transactions. Flat is better: If you were offered a choice between a flat $30 for a taxi ride to the airport, or a pay-by-the-minute rate that would probably cost you $25 but might end up costing you $35, which would you take? Economists' studies have found that most people will pick the flat rate. It's called "the taxi-meter effect," and it applies to more than cab rides: it also applies to cell phone minutes and bank fees and many other procedures. It’s not just a fear that you might underestimate your phone use or the congestion on your morning commute—it’s that consumers hate knowing that each extra minute or mile is costing them money. It works in other areas, too: When an Israeli bank stopped charging per transaction and changed to a flat rate, their revenues went up by 15 percent and customers were happier. Myth in "Fiction": There is a persistent myth that that all the clocks in the movie "Pulp Fiction" are set to 4:20. However, in at least two scenes it is obvious that this is not the case. In "The Bonnie Situation," while Jimmy, Vince and Jules are drinking coffee in the kitchen, the clock clearly reads 8:15. Secondly, when Vince and Jules go to retrieve the briefcase, it is "7:22 in the a.m." The significance of the time 4:20 is that it is slang for smoking marijuana. Whether you're a current or future TimePilot customer, we're glad to see you. TimePilot Lead Story: 7 (More) Top Tips from Past Newsletters. TimePilot Q&A: Removing employees from the software; new USB Drive. The Deal: 38% off Vetro Mounting Plate. 38% Off Vetro Mounting Plate! 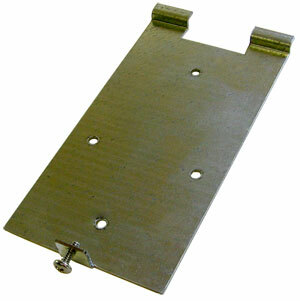 This steel mounting plate provides a solid base and adds security for your Vetro clock. This is one of those "why-didn't-I-think-of-that?" products. Don't you hate it when you grab your water bottle, pop the top and find mold growing at the bottom? The people at Clean Bottle have solved that problem. They've created a line of water bottles with screw-off bottoms so you can clean them thoroughly. The bottles come in plastic, metal and glass, round and square, and are guaranteed for life. They start at $9.95. © Copyright 2014, TimePilot Corp. All rights reserved.